1) I’ll start off with something that actually happened last week because I cannot resist posting photos of this cutie up on my blog. One of Max’s best friends is an office in the Army (Go Navy! But we are proud of you Evan!) and was back for Labor Day. We got to catch up with his beautiful wife and baby girl this past weekend and it was great. Watching her grow up this past year just fills my heart. They are great parents and seriously have the cutest little angel who is so loved by her aunties and uncles like us. 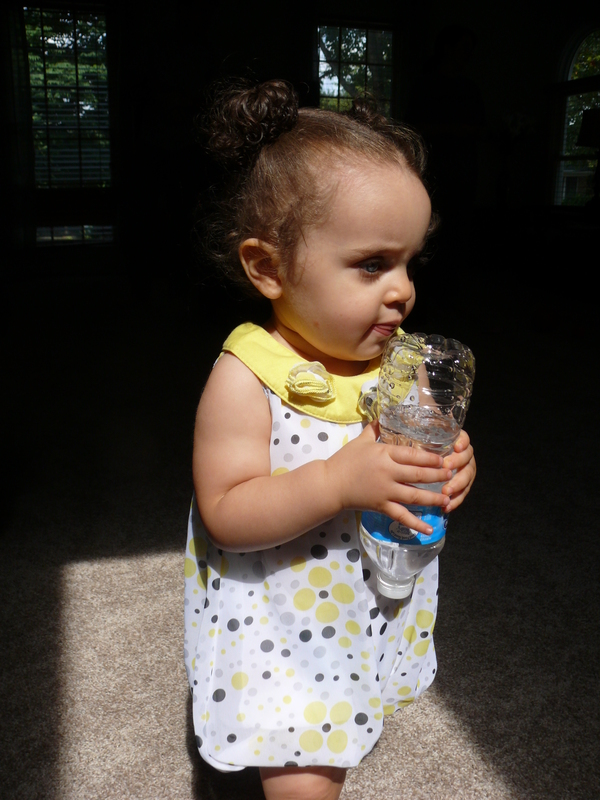 Baby H knows that hydration is key! 2) Some of my best friends signed up to run the Marine Corps 10k and I could not be more proud of them. Amanda is running the Marine Corps Marathon and has inspired us all to step up our game with her. Needless to say, it is going to be an amazing weekend. Amanda is actually running for Team Not Alone and is just shy of reaching her fundraising goal. Visit her team page and help her out! 3) I had a flat tire on my bike this week which set me back an hour at work and threw off my entire Thursday. 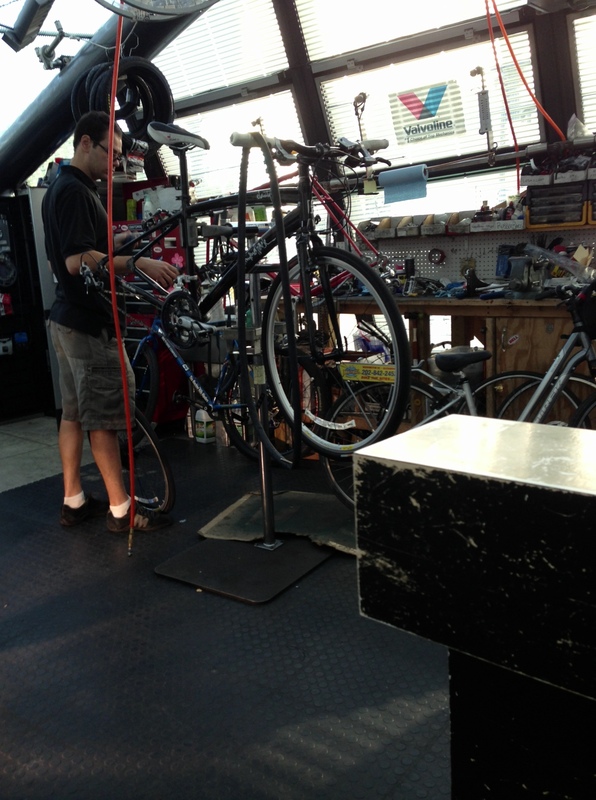 Luckily the husband met me at the bike store on his run to work and we got it taken care of. It set me back $17 which I did not like…but it could be worse! 4) I got to plan out a modified 10k program for my good friend Beth who I will be running with once a week at various locations until we reach her 10k goal in preparation for the Marine Corps 10k. I absolutely loved mapping our runs of varying distances and elevation changes (sorry for the hills Beth, they come after mile 3!). Coaching would be so fun! I need to become a better runner first 😀 haha! We had our first run tonight which began with intervals of 1 min walk: 1 min run and a post-run stretch. I am so proud of her! 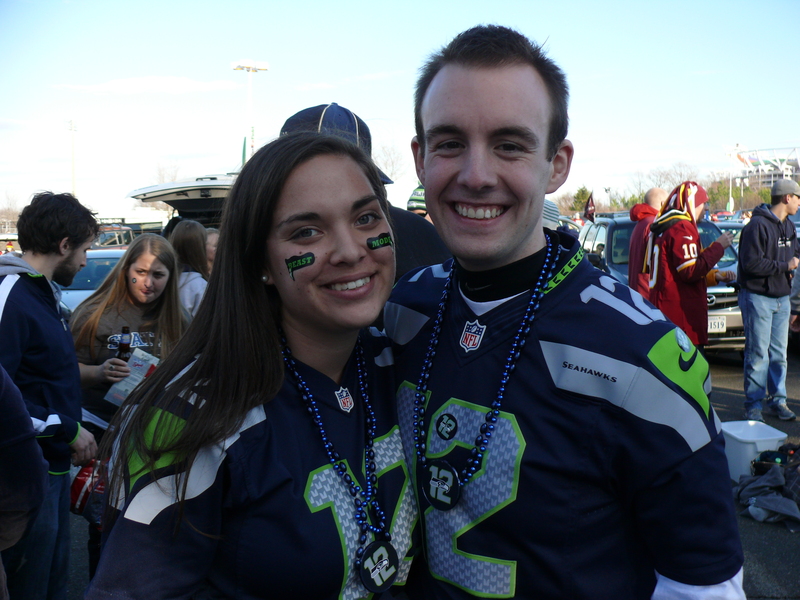 5) FOOTBALL IS BACK and the SEATTLE SEAHAWKS play on Sunday! We have a great crew here in DC we watch the games with (a ton of credit goes to them for my love of the Seahawks – they made it easy being such a fun crowd)! !